Warm, cozy, elegant, intimate - each of those words is a perfect descriptor of Austin and David's gorgeous Banff wedding day! 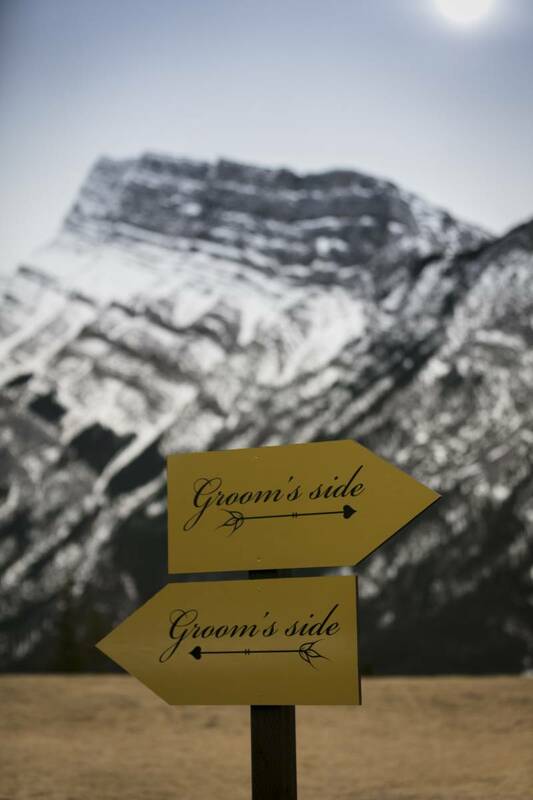 Held at the Fairmont Banff Springs and photographed by Edward Ross Photography, Austin and David embraced rich and warm jewel tones and paired them with rustic decor elements to create a cushy mountain escape for their wedding. Planned by Lynn Fletcher Weddings, for the outdoor mountain ceremony, guests were given warm mugs of hot chocolate to stay warm. The lush reception was filled with affectionate, personal details like handwritten family recipes on personalized recipe cards. 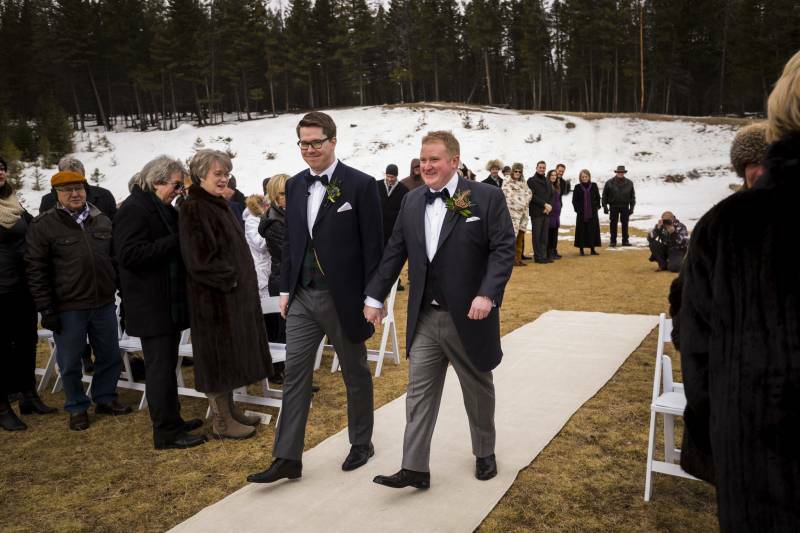 Take in this stunning Rocky Mountain wedding and hear more from the grooms after the jump! The most important thing to us when planning our wedding was curating a weekend for our friends and family that would be unforgettable. 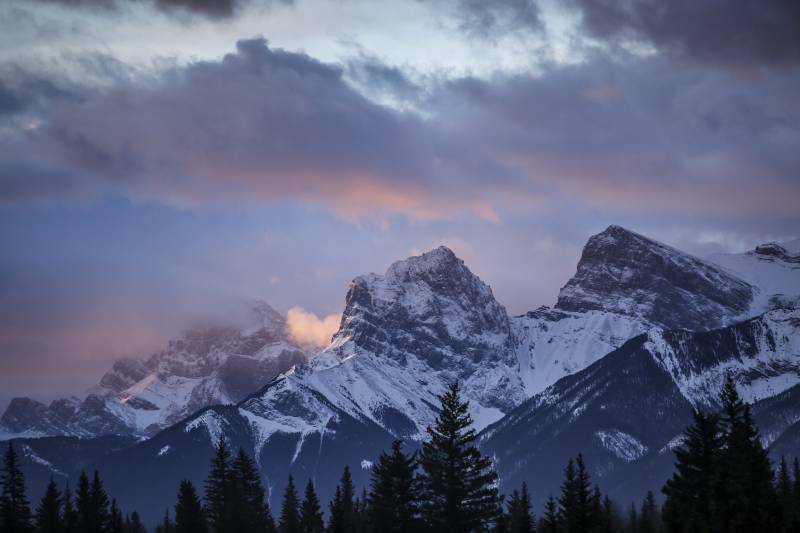 A beautiful, truly Canadian ceremony location set the stage for the day, encouraging our guests to bundle up for the outdoor celebration with warm clothes and hot chocolate. In the evening, food and family were key themes we wanted to focus on, so the experience of a menu with paired wines, rustic yet refined decor, understated lighting, and even handwritten family recipe cards for our guests all came together with the incredible Rocky Mountain setting to present the perfect finale to a truly memorable day.